For several years I’ve worked with children with autism spectrum disorder (ASD). When my son was diagnosed as being on the spectrum, I became a mother in denial. I knew that there was something else or something more to him and his challenges. 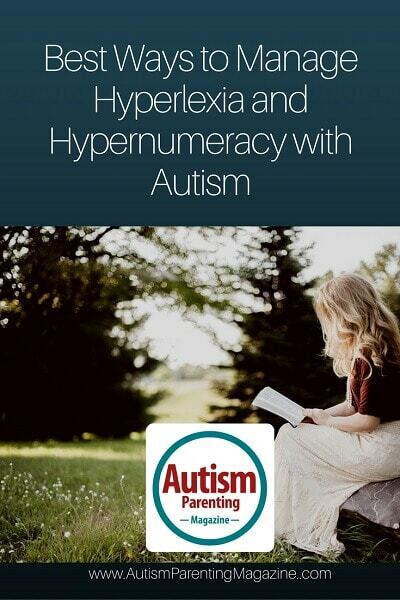 I began researching and eventually I came across an article written by a psychiatrist; the article described hyperlexia. Hyperlexia is described as the precocious self-taught ability to read usually before age five without comprehension of what is being read. The author of the article described three different types of hyperlexia. I felt the article described my son perfectly. Upon reading it, I reached out to the doctor thanking him for all the information that was provided and informed him how his article gave me the answers and acceptance that I was searching for. My son Eddie is a playful and affectionate little boy. Some of the activities that Eddie enjoys includes drawing, reading, writing, counting, completing puzzles, watching game shows, playing computer games, and running, or better yet getting chased. Eddie is the youngest of three children. He was the perfect baby. He was calm, quiet, and rarely fussy. He developed normally and met most major milestones. However, he spoke only a few words. I just assumed that it was a part of his persona and that he would be a late talker. Around age three, Eddie started going through phases in which he became fascinated with certain animated characters, logos, and people. He was compelled to write and or draw these characters everywhere, including his books, the hardwood floors, the walls, and even on his body. He would also walk around the house spelling out these obsessions aloud and or writing them in the air with his pointer finger. When in the community, he would label locations, signs, or billboards. I assumed that he memorized the logos. One day I overheard him reading out loud from a book that we’ve never read and I was amazed that he was actually reading the words. At age four, he was evaluated and diagnosed as having symptoms associated with ASD. Although he scored very poorly and below his age range in most areas, he scored very high in his ability to read. Since his diagnosis, he has received speech and applied behavior analysis (ABA) therapy. Eddie is only able to follow some simple one-step directions; however, he is able to read paragraphs in a chapter book. If I recite a sentence to him, he is able to write it and spell most words accurately, yet he has no comprehension of what he’s reading or writing. Since Eddie is such a strong reader, I use his strength to teach him. Some of the techniques that I’ve implemented in order to better help him understand what he’s reading include labeling objects within our home. For example, the garbage can is labeled. When I give him an item and the direction “put in garbage,” I point to the label on the garbage can indicating to him that this is garbage and that this is where the item should go. In addition to being a great reader, Eddie is fascinated with numbers; this is referred to as hypernumeracy. He can count beyond what is expected for the average five year old. He can label numbers, count backwards and forwards, fill in missing numbers on a number line, and identify numerous shapes. Currently, I’m teaching him addition, and slowly we will build upon those skills. I’m certain one day he will excel beyond what I am able to teach him in math. This fall, Eddie will be entering kindergarten, I believe that academically he’s mastered the kindergarten curriculum. However, I fear that his abilities will be overlooked and all that will be seen are his disabilities. Julal works as an ABA therapist in NYC. She lives outside of the city and is the mother of three boys. She enjoys spending time with her family. She also enjoys writing and has decided to share her experiences with her son with autism and his awesome abilities in an attempt inform and inspire other families. I just started a session for single moms w autistic kids and I’m learning new things that can come w being on the spectrum. My son hated using a writing tool because it was hard to hold. Now that he has the hang of it he is attempting to write sentences and peoples names. Strange but interesting. He has an amazing ability w numbers that has to be explored. He just turned six. Articles like this one are so inspiring. We focus on his weaknesses but I’d love understanding his strengths. Thank u for sharing. Wonderful to read about so many exciting experiences families are involved in with a member on the spectrum. Inspiring and affirmative! Hello my son was just diagnosed with Autism. Thank you for sharing this article because I feel as though my son fits alot of the same characteristics as your son. I am looking for help and support in navigating this path to best help and support my son. I would love to talk to you more over the phone or email if possible. Hello Staci! Thanks for your comment. We have forwarded your message to our author, Shernette Julal. We’ll let you as soon as she responds. Hello Staci, we just want to let you know that we have sent you another email containing the information you requested. Have a great day!